Last summer, the Cleveland Cavaliers were determined to not let LeBron James’ offseason departure keep them from being competitive. In fact, before the 2018-19 season started, word from the Cavs was that they were intent on advancing to the postseason. 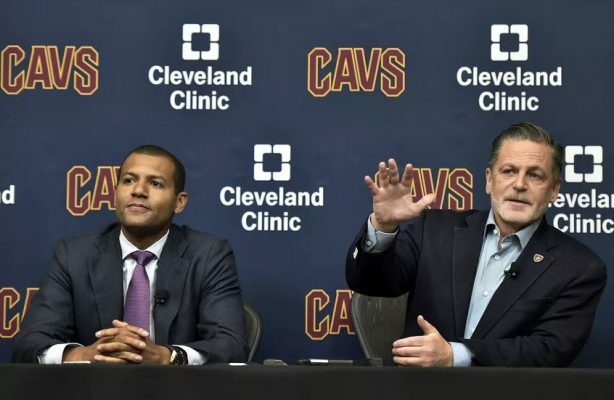 According to a recent report from Joe Vardon of The Athletic, executives around the NBA couldn’t believe the Cavs had such lofty expectations. Ultimately, the Cavs proved to be quite far off on their goals for the 2018-19 campaign. With a 19-63 record on the season, the Cavs would have had to double their winning total on the season and then some to have actually advanced to the playoffs. Still, while the goal was lofty, it could have been far more reachable had the Cavs not suffered numerous injuries to some of their most impactful players. Both Kevin Love and Tristan Thompson missed serious time due to injury. In truth, it wasn’t until Love went down with an injury that necessitated toe surgery that the season seemed destined to be a lost one. In the end, it was all probably for the best. Now that the season has come to an end, the Cavs currently are tied for the best odds to grab the No. 1 overall pick in the upcoming draft. That No. 1 pick will almost certainly become Duke University phenom Zion Williamson. If one lost season means selecting arguably the greatest NBA prospect since LeBron James, very few NBA executives will be shaking their heads at the Cavs for much longer.